For an artist, the first step toward creating a realistic drawing is learning how to see a subject. Perspective is an essential tool for artists of every medium, helping to transfer the three-dimensional world onto a two-dimensional canvas. 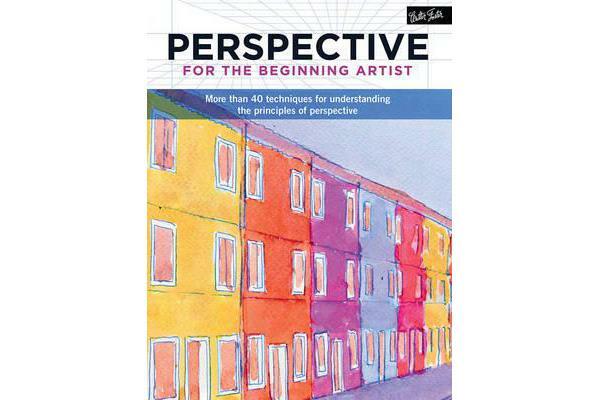 Beginning with a basic overview of how perspective works, Perspective for the Beginning Artist introduces aspiring artists to the differences between one-, two-, and three-point perspective, as well as methods of how to measure and divide areas of a subject or scene proportionally. Using basic lessons of depth and distance, artists can practice their own perspective drawings with step-by-step instructions for still life, architecture, and landscapes and apply their newfound knowledge to create realistic and proportionate artwork in any medium. In addition, the book covers mastering perspective using the most common beginning drawing tools, including graphite pencil, charcoal, pastels and ink.